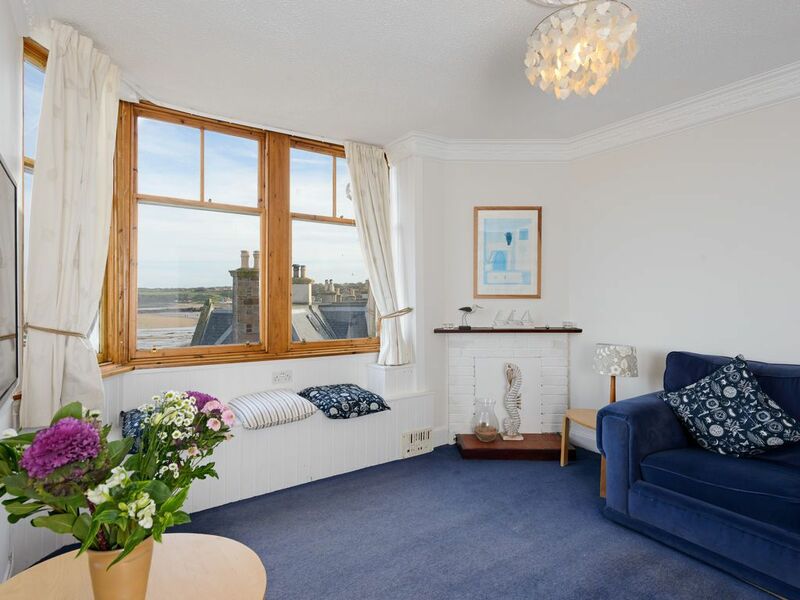 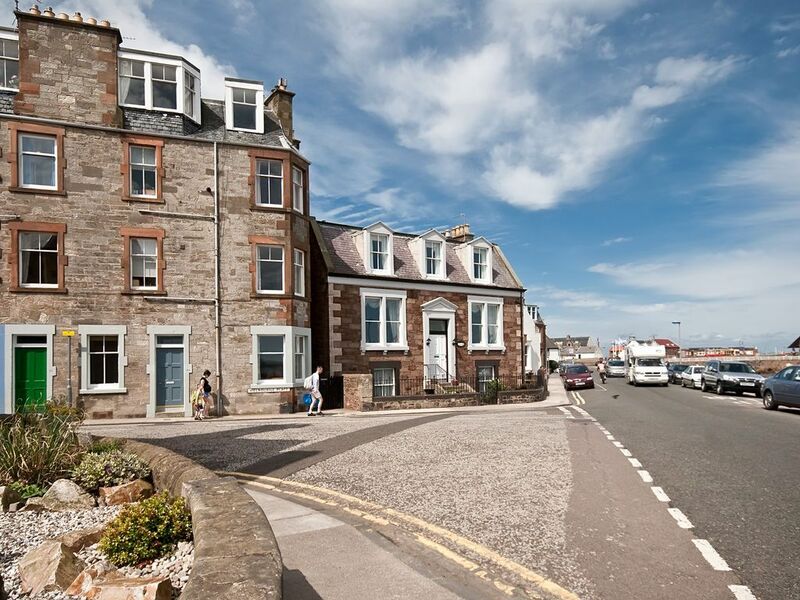 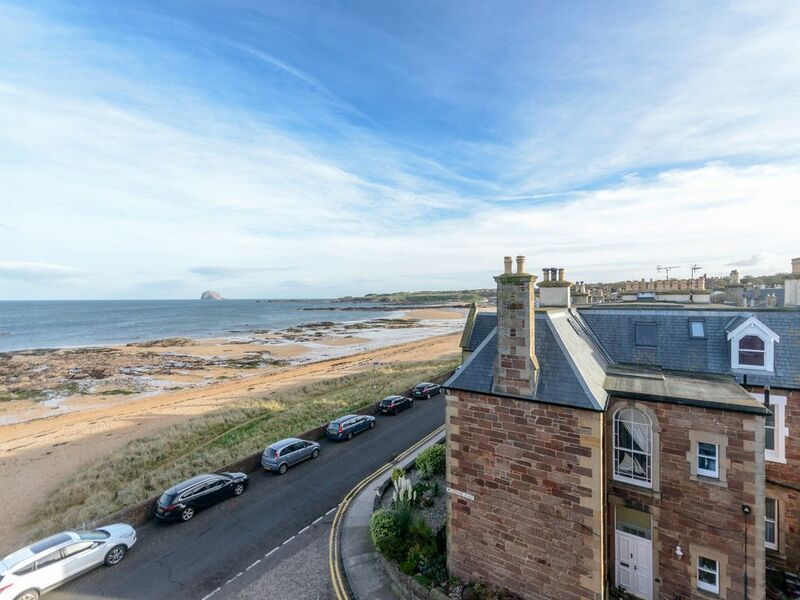 Bass Rock View is a third floor apartment situated right on the East Beach with panoramic views over the East Bay to the Bass Rock. 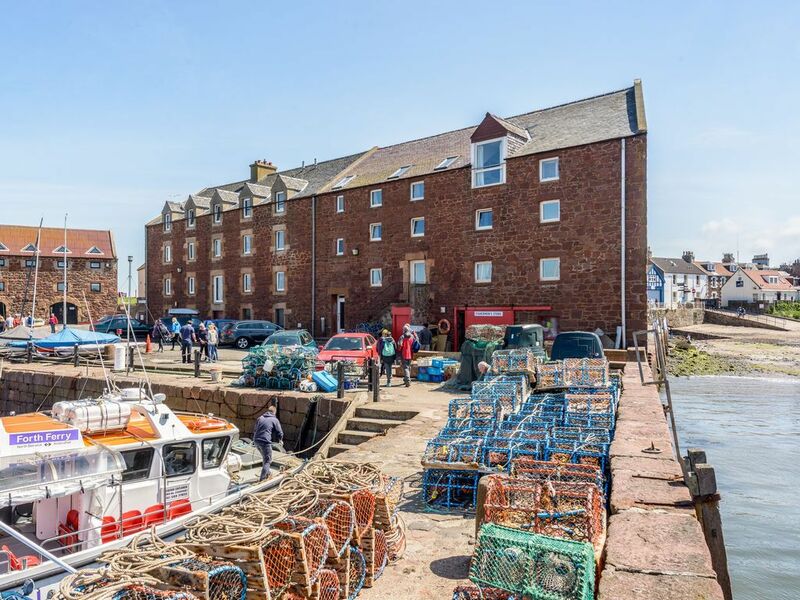 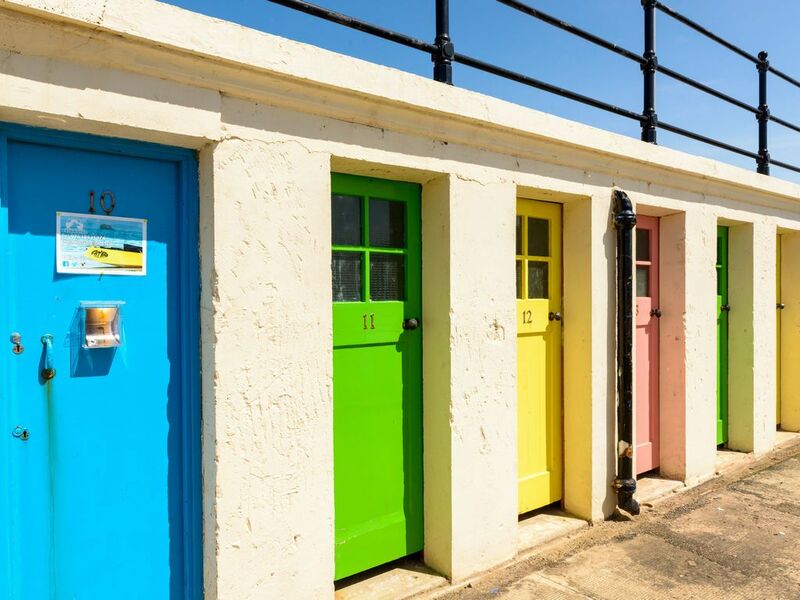 A two-minute walk brings you to the harbour and Scottish Seabird Centre or in the other direction to the shops and the many restaurants in the High Street. 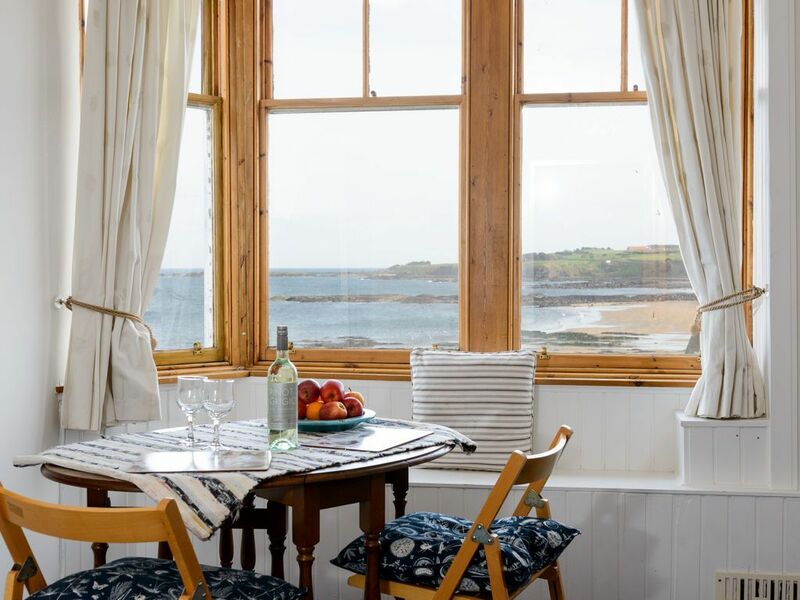 The large picture window view of the beautiful coastal scenery is truly awe-inspiring and there's the same view from the kitchen too. 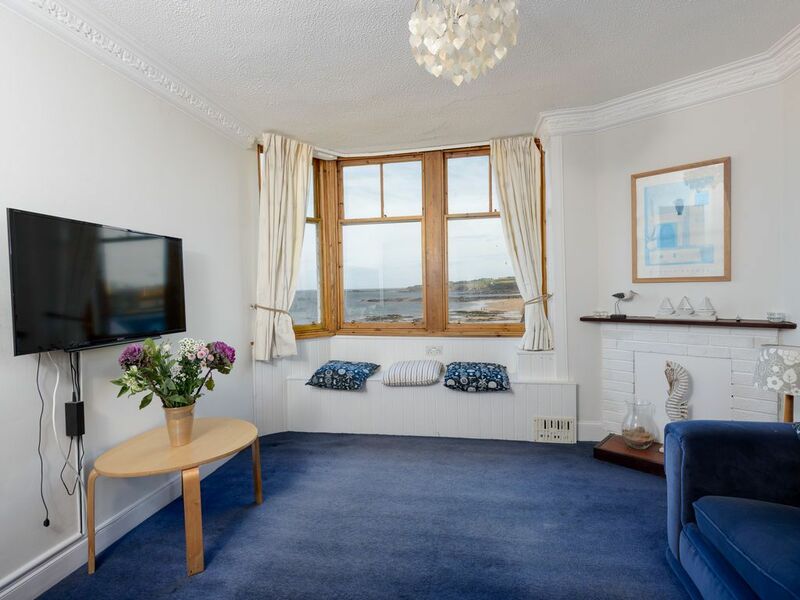 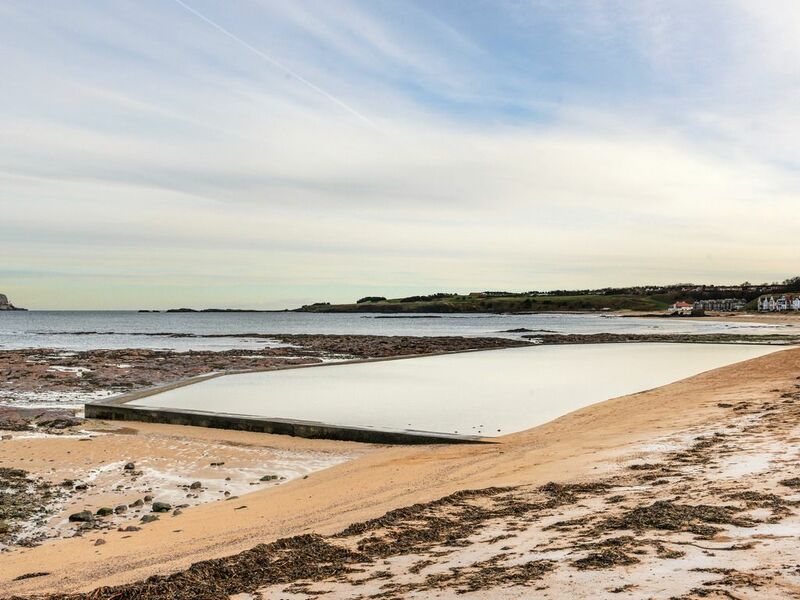 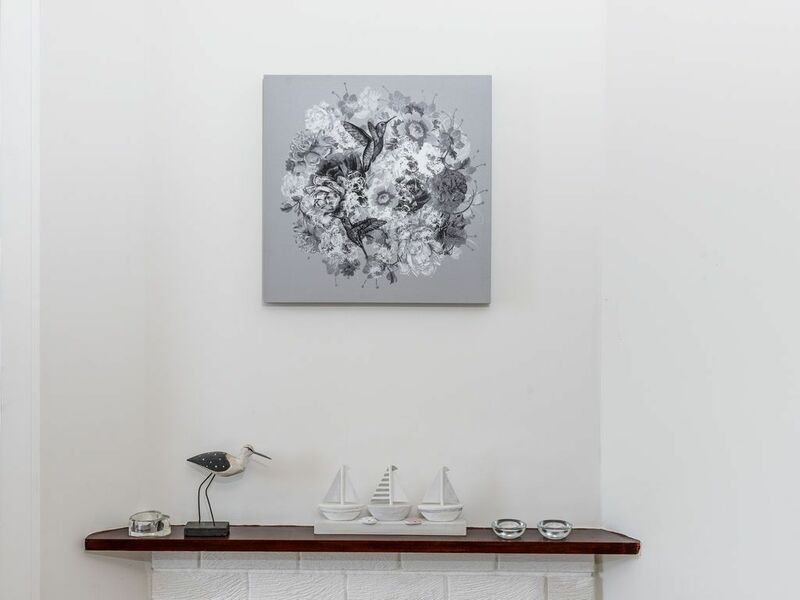 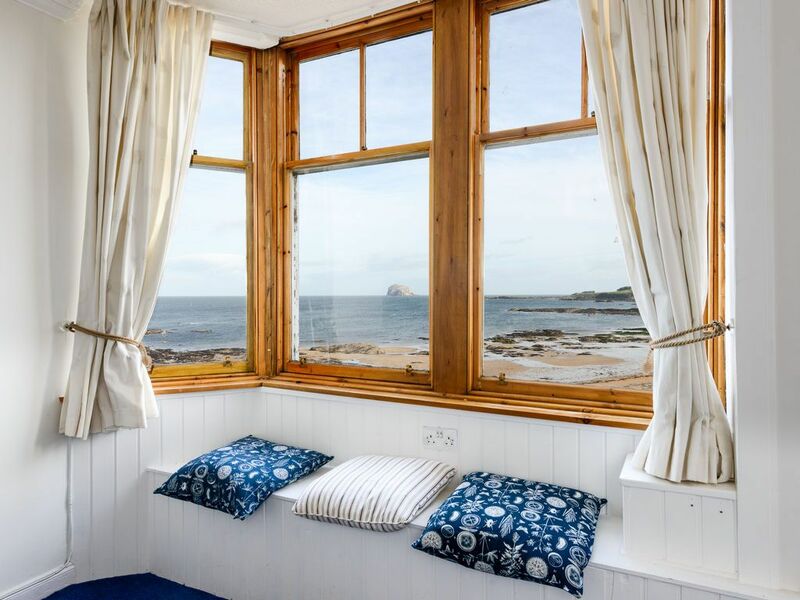 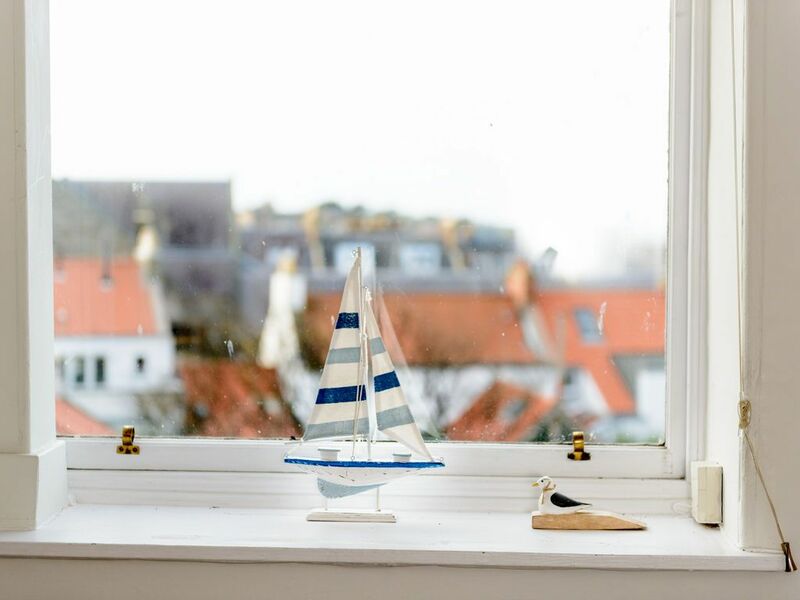 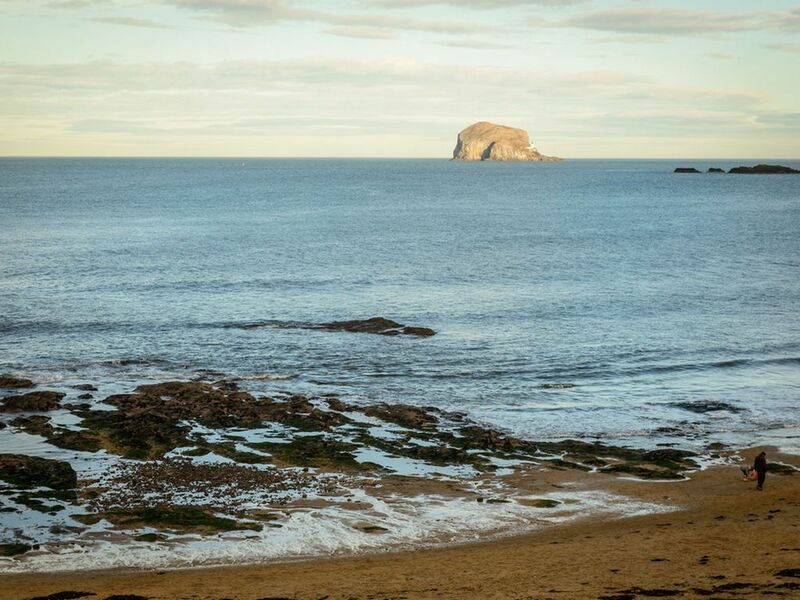 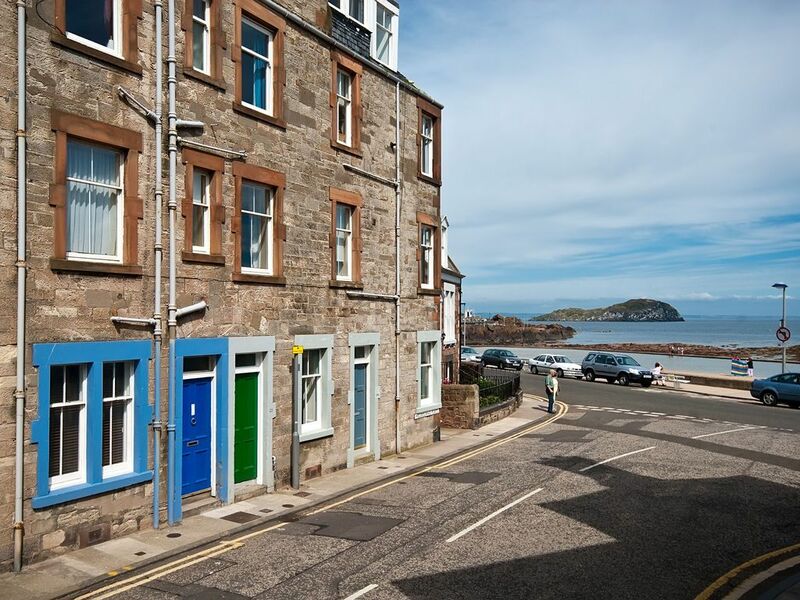 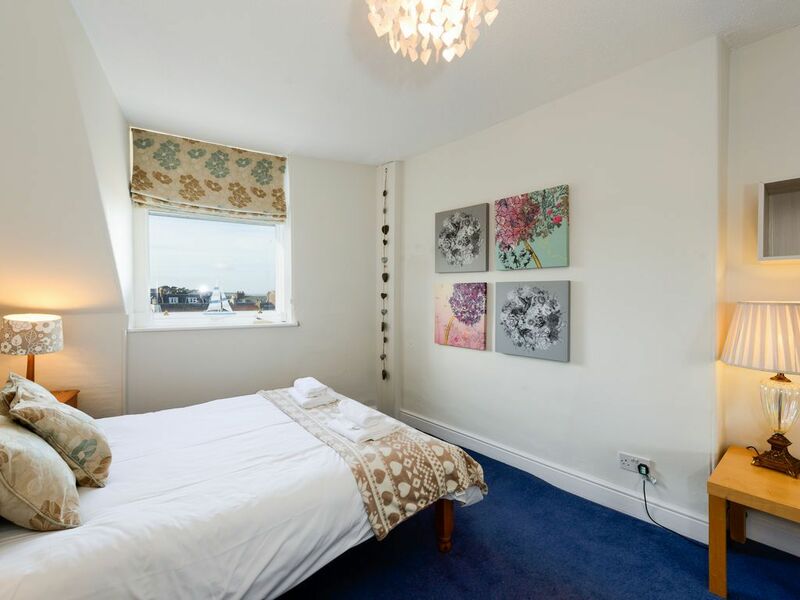 Bass Rock View is comfortably appointed to ensure a great seaside holiday. 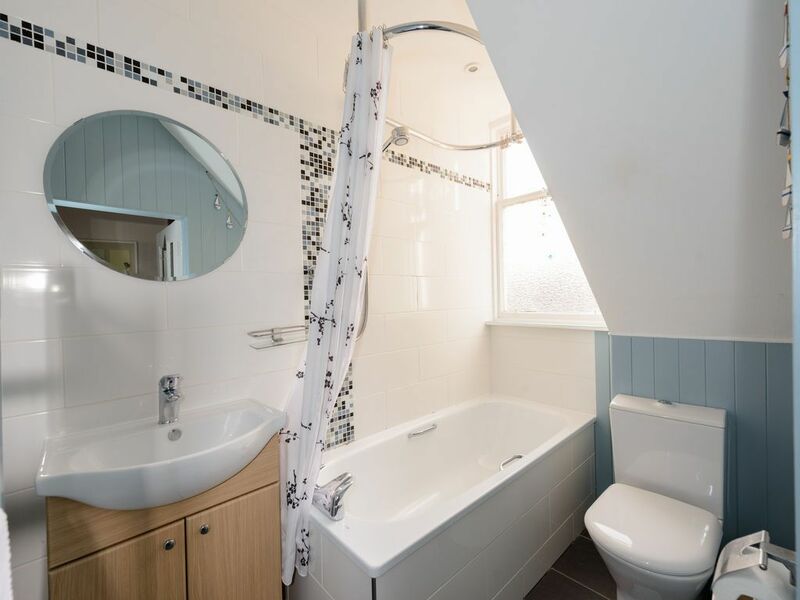 It has been recently updated with the addition of a dishwasher in the kitchen & the installation of a mains pressure hot water tank which means the shower is mega powerful and not to be missed. 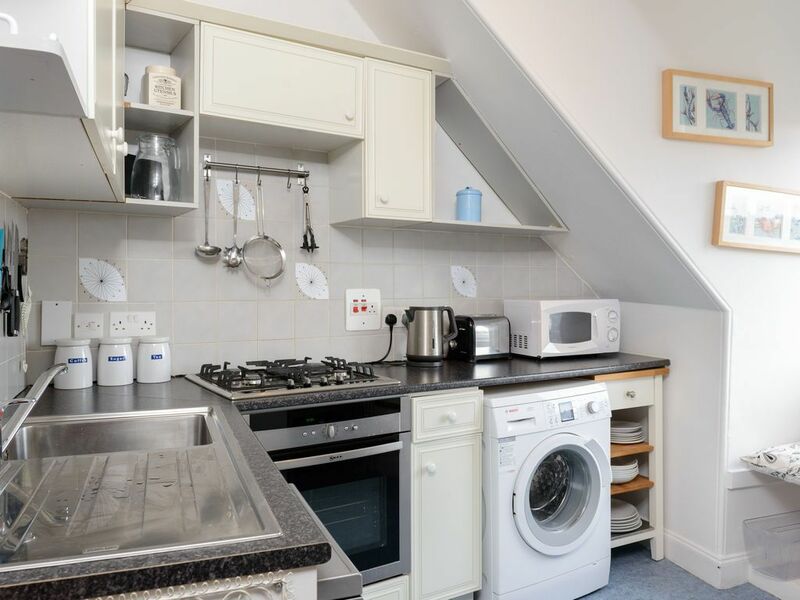 Kitchen with Smeg Oven & Hob, Under bench fridge with icebox, Dishwasher, Microwave & Washing Machine.